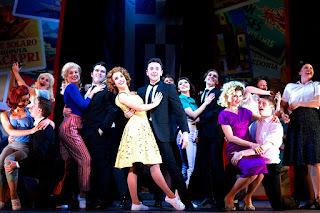 Summer Holiday - A really wheelie Heely musical! 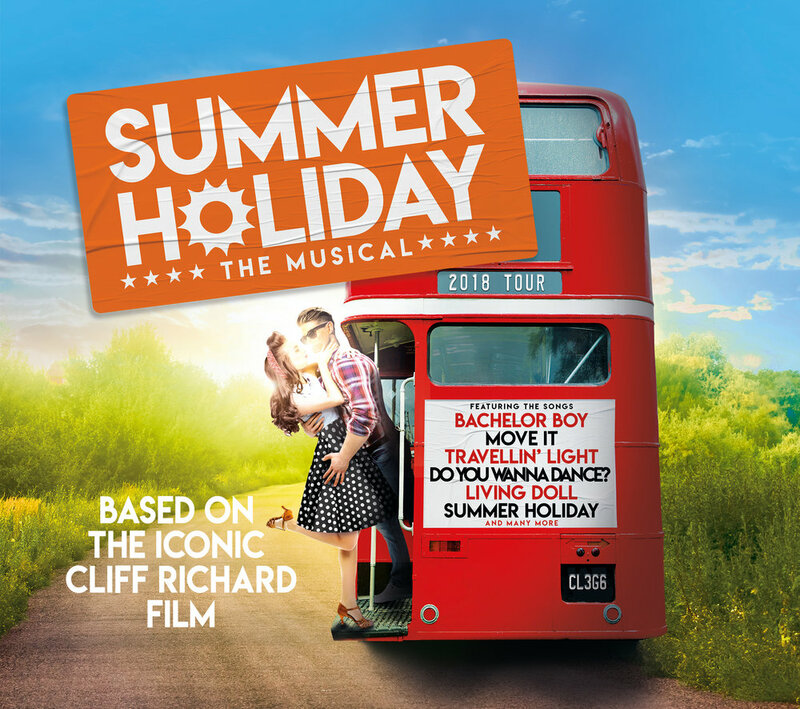 With the last vestiges of summer still clinging on in this warm September, what better excuse to relive the more joyous moments of summer from a bygone era, than a trip to see the new stage musical based on the 1964 Cliff Richard film of the same name? 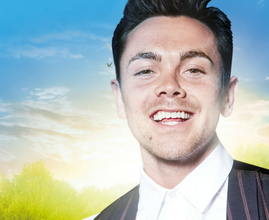 Racky Plews’ new production and the obligatory red bus rolled into the New Wimbledon Theatre this week but sadly the primary bus driver Ray Quinn was not entirely at the wheel due to a cracked rib. But in true showbiz tradition, the show has gone on with Billy Roberts steering the double-decker ever onwards on its European adventure. The plot is, to say the least not too challenging, as ‘Don (originally played by Cliff in the film) and his friends are going on a fun-packed boys’ trip on a London bus visiting Paris, The Alps, Italy and Greece, in search of a good time and a brilliant summer. Along the way they meet and travel around Europe with a girl band and a young American pop star who is running away from home’. All simple enough but an excellent framework to hang some nice farce, gender confusion, evil mothers and a classic songbook of standards including Bachelor Boy, Dancing Shoes, Do You Wanna Dance?, Summer Holiday, and even The Young Ones! The success of this production is without a doubt the unquestionable verve and attack of the company. 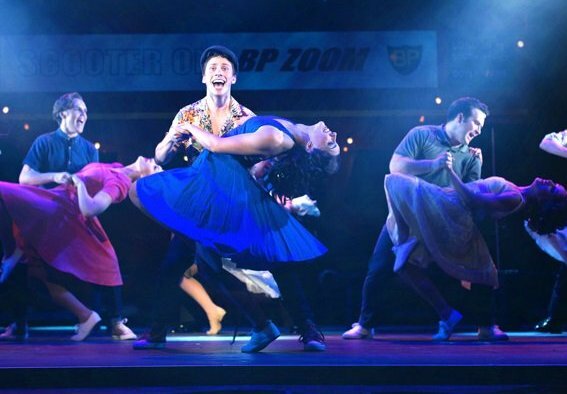 Director and choreographer, Racky Plews, clearly has an intrinsic feeling for the period and the young talented ensemble dance up a storm, especially in her brilliant, inventive sequence with Heelys! Under challenging circumstances, Billy Roberts as Don, carried the show, surrounded by an incredibly supportive company. Joe Goldie and Rory Maguire as Don’s boys sang and danced with real vigour and enthusiasm. 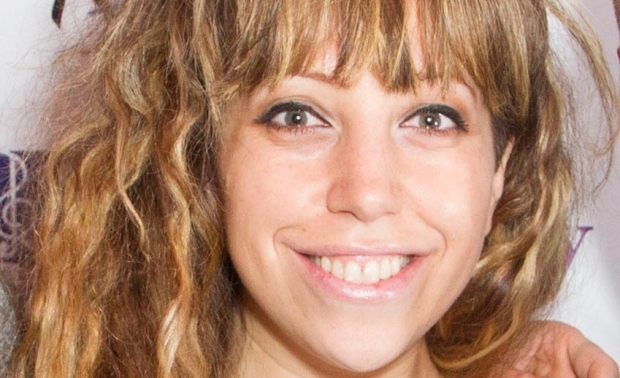 Taryn Sudding as pushy mother Stella was an exquisite tour de force of camp comedy. And the quaintly named Do-Re-Me, Gabby Antrobus. Alice Baker and Laura Marie Benson, were the embodiment of the Spice Girls-manqué, circa 1960! But ultimately the success of Summer Holiday rests with the tightness, enthusiasm and undoubted joie de vivre of the entire ensemble. 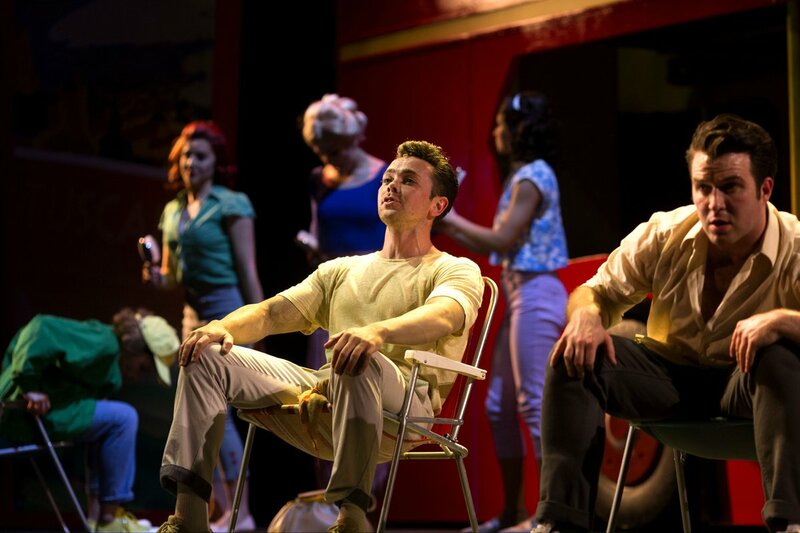 So all that remains is to wish break a leg - and a little less rib-tickling - to the company for the rest of the tour and hope that Ray Quinn’s recovery is fast and effective, although he can surely rest secure and relax in the sure knowledge that his company is safely singing and dancing up a storm of wonderful 60’s nostalgia!